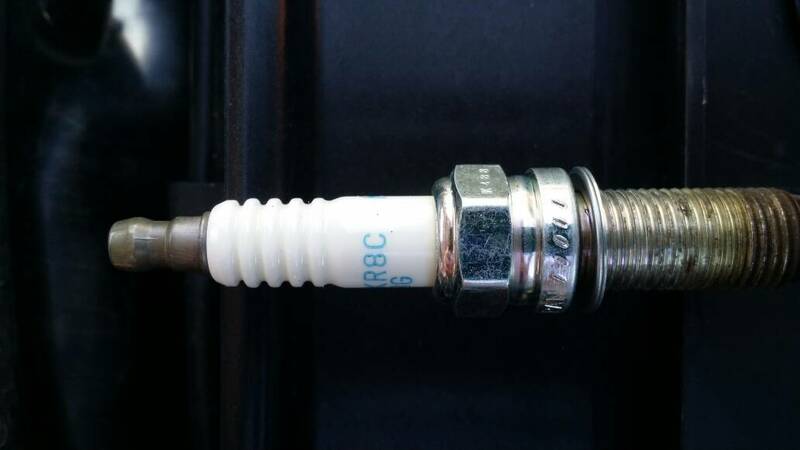 What spark plugs have been used when you have had a service? I've just taken mine out to see what part number I could find. Part number is ILZKR8C8G with NGK IR on there. I cannot find these on the net and even NGK website doesn't list them. 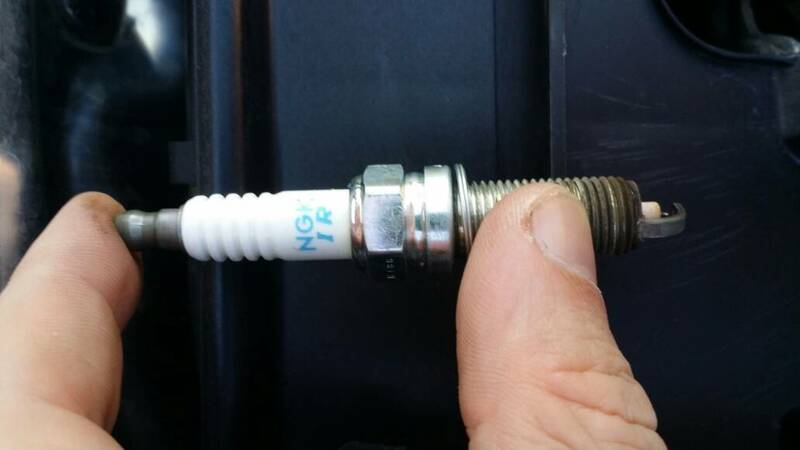 All 4 spark plugs are 0.72mm gap. Little scorched at the top - suppose the THP lump does get very very hot! I don't know if any of that is of interest. 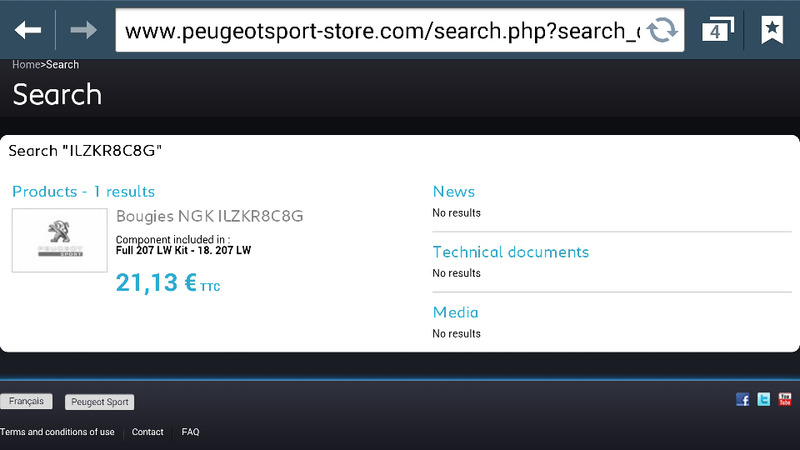 I couldn't find a plug spec for the RCZ-R as it's not listed in my NGK catalogue. However, the plug spec might be given in your handbook - or someone on the forum will know what it is. Cheers. Bruce. Been doing a bit of digging around the Internet and apparently the plugs are a supplier only type as in only made for manufacturers not for general re-sale. They are also in the DS3-R. But still the question still exists, what do you put in its place when you change them yourself? As you have Iridium plugs these should be good to last for 60,000 miles plus. With the exception of external interference like side pressure snapping the body etc. 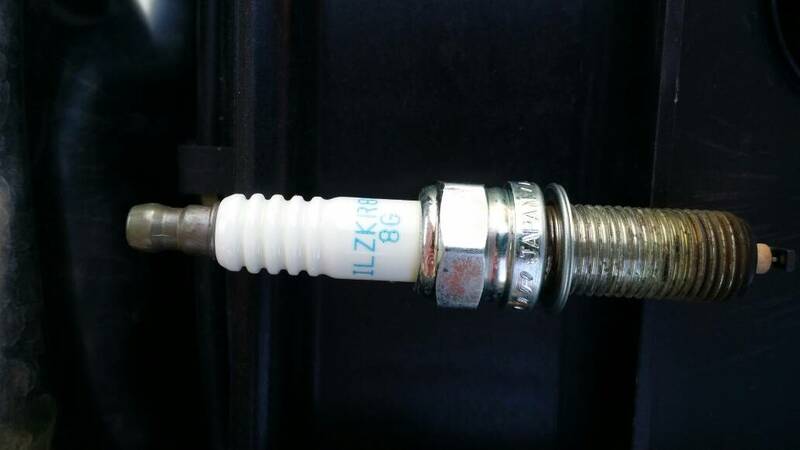 Most spark plug manufacturer's have web sites where you can cross reference different makes of plug and check the correct type for the engine in your vehicle. Now don't quote me on this but most plugs come pre-gapped to 1.00mm but it pays to double check the gap is set correctly what ever the specs. On NGK's online catalogue they quote plug type ILZKBR7B8DG for the RCZ 1.6 as an Iridium upgrade to the platinum plug. These are available on Ebay. Cheapest deal is £9.49 per plug with freepost. 10k/1 year is for arduous conditions. 12.5k/1 year is for normal conditions. Not the right plugs for the R as the engine type is different and those plugs are a 7 and the R uses an 8. It might be that NGK have an error in their catalogue.